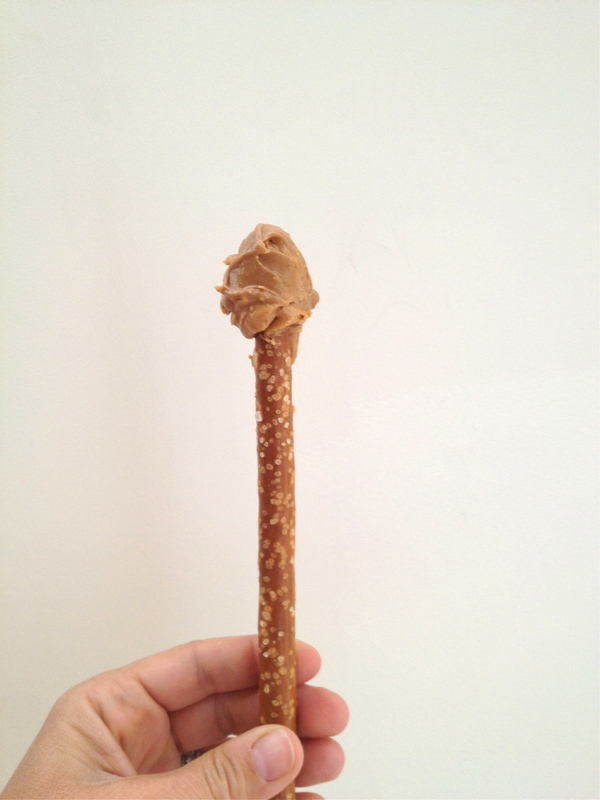 Chocolate Ice Cream + Peanut Butter + Pretzel Stick = Genius! About four years ago I encountered this amazing concoction at a place caller Junior Ambassador's. I was pregnant with Clementine at the time and when this was handed to me by the very talented ice cream maker extraordinaire, Rudy Speerscheider, well, it kind of blew my mind. Sadly, Junior Ambassador's sweet awesomeness closed up and all I had was a lovely memory that visited me from time to time in the form of chocolate cravings. 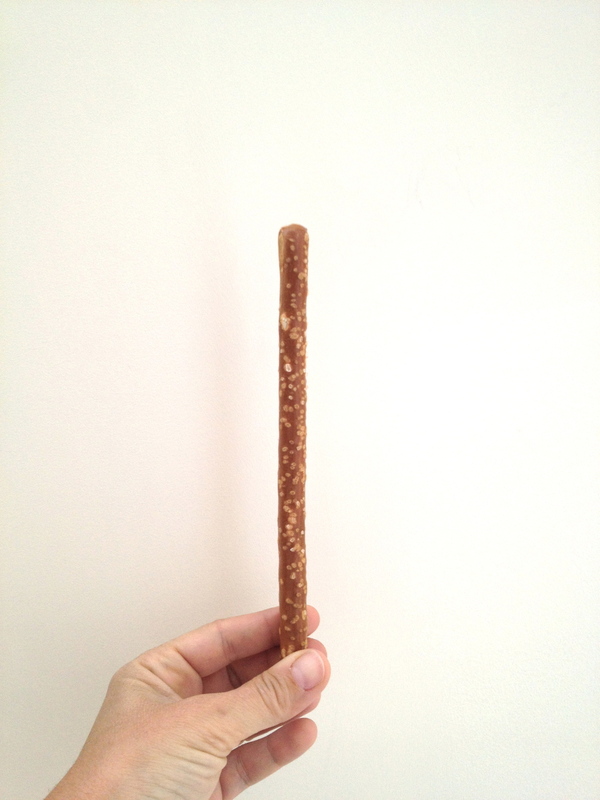 I happened to have a bag of pretzel sticks. They were a fine snack just as they were but their nakedness seemed to be beckoning me to become more; to reach their ultimate potential in deliciousness. It was time to make this dream a reality. Peanut butter? Check. 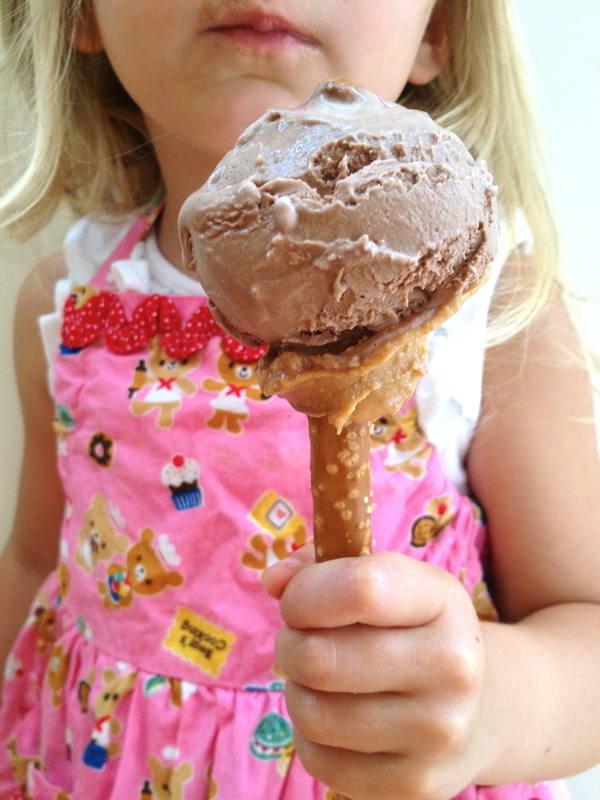 Chocolate Ice cream? Check. Now it was time to assemble. Sure, Rudy handed me a small masterpiece made with delightful, small-batch, hand made chocolate ice cream, but I think I did a good job with what I had. 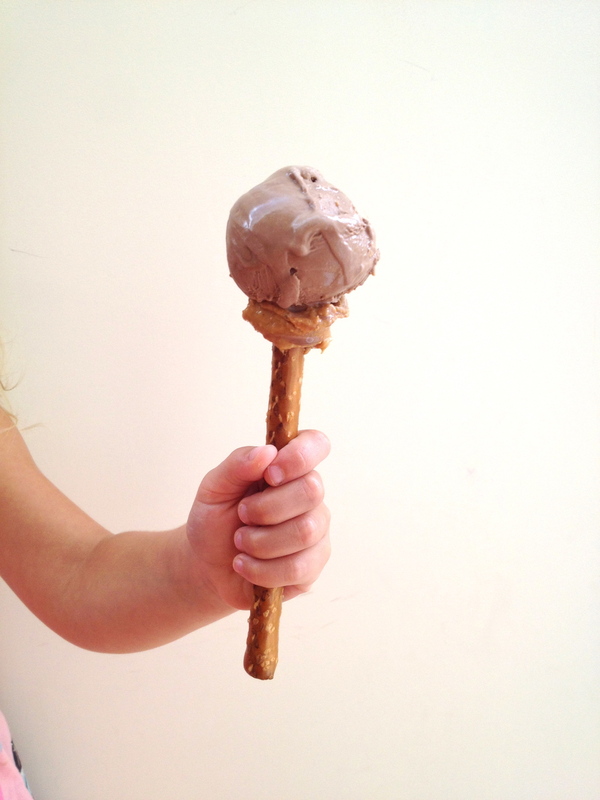 It's not easy to get that scoop of ice cream on that pretzel stick, but with a little finesse it all came together. 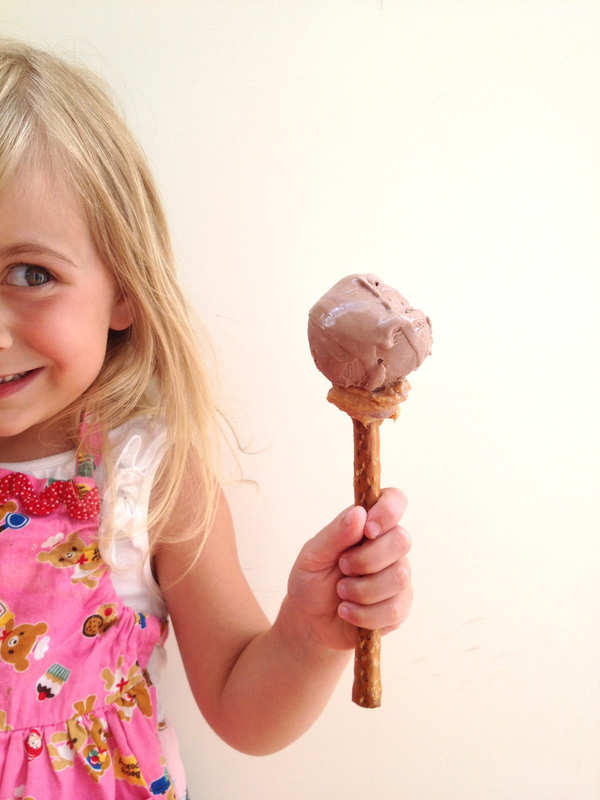 Who needs cones or spoons when you have pretzels? !